Me and my collecting of Latvian philatelic material. I started to collect Latvian stamps in the early 1970ies when I took over a small basic collection of my father. In the 1970ies I at first had frequent contacts with the stamp dealer Mr. Rucins in Germany and got stamps of very good quality from him. Gradually I got other contacts and by the years I have correspondended with collectors all over the world. From the start I collected "everything" in the field of Latvian philately - stamps of the years 1918 - 1940, covers and postcards with different cancellations from the inter war period as well as from Imperial Russia in Pre Independent Latvia, the Wenden editions, Awaloff - Bermondt editions, Kurland overprints and whatever you can find of Latvian philately. I also have participated with my collections by some international exhibitions - Stockholmia 86, Finlandia 88 and Stamp World London 90. The best award was vermeil medal. However, there hasn't been time for such activities the last years. In the the late 1980ies when I came in contact with Mr. Jakimovs and Mr. Marcilger. I participated with the work of the book "The Post Offices and Postmarks of Latvia 1918 to 1945" with the listening of the standard postmarks (by that time on my typewriter) and also the listening of the provisional cancellations. The research is, of course, Mr. Jakimovs work but e.g. the layout of the provisional postmarks is a result of teamwork by Mr. Jakimovs and me. This material is more or less identic with that, later shown in the Handbooks published by Mr. Harry von Hofmann (Die Stempel und Postanstalten 1918-1940 / The Postmarks and Post Offices 1918-1940). In the second book by Jakimovs / Marcilger "The Postal and Monetary History of Latvia" there are only a few pages about the postal tariffs where I have participated. However, in their third book "Postal History of Imperial Russia in Pre Independent Latvia" I have worked out the part about the Censorship markings and Mute cancellations - also this time with the main information from Mr. Jakimovs. These works has led to a great interest in all type of different postmarks and also led to a more exhaustive study of the different cancellation types and their using periods. Through the years a lot of "new" information has been available thanks to Mr. Raimonds Jonitis in Riga who has been very eager with his research at the Archives in Riga where a lot of interesting information has been possible to find. 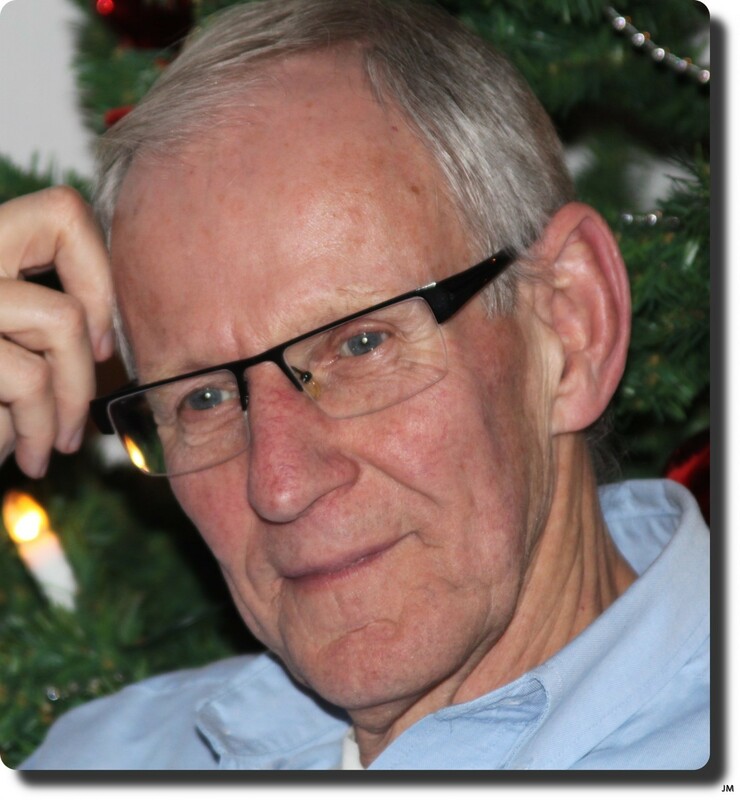 During my years working in Riga Mr. Jonitis and me have spent a lot of hours of my free time there putting the archive information together with what we have found in my own collection as well as in other collections (e.g. from Mr. Ratzel and Mr. Lehr in Germany). Mr Igors Irikov in Riga is also on of those who has been very helpful with a lot of information about late and early dates for the postmarks going thruogh his large stocks. And there are others too. Due to the non interest for philately by my children and grandchildren I have the last years started to close parts of my collecting. I still have a good "basic" collection of the unused stamps and of course of the postmarks from different post offices. However, it is difficult to totally give up this interesting hobby. introduced to this flight; RIGA-LIDPASTS 28.5.33. 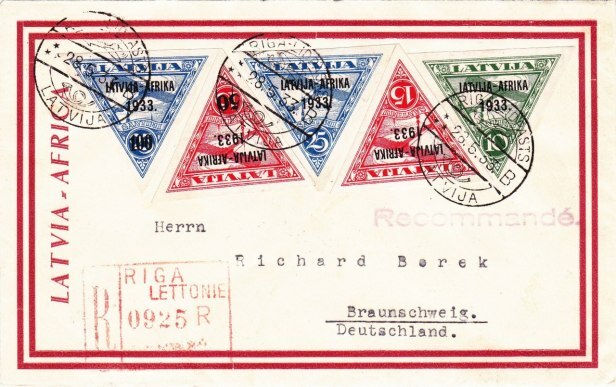 B, used at the air mail counter at Riga Main Post Office. where it was cancelled upon arrival (on reverse side) BRAUNSCHWEIG 29.5.33. 13-14 ANKUNFT b.